What do you get when you fill the trunk of a classic Beetle with a modern Audi 1.8-liter turbocharged engine that’s been tuned up to 389 horsepower? Donuts. You get donuts. 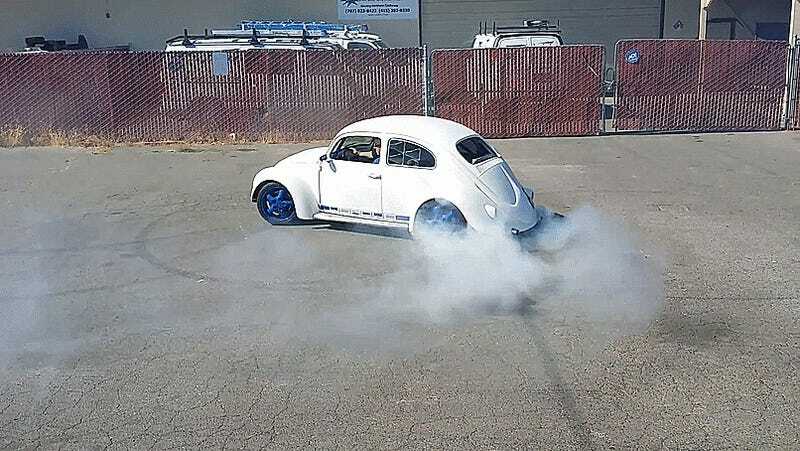 This custom Bug has a long list of mods on its YouTube page, including a Garrett turbo, a Tial Sport turbine housing, a Golf Mk2/Mk3-based rear suspension and subframe, custom A-arm suspension in front, and bigger Wilwood brakes. What all of that does to tires is just magic. Open up the throttle, and rubber tires simply disappear into thin air!